WOW! You guys really like drills :) Sooooo many people entered! I really need to stop reading all the entries because I read your stories and then I want to give you all one!!! I wish I could. Especially with it being Christmas time. Instead I have to use random.org to pick a winner. So with out further delay……. 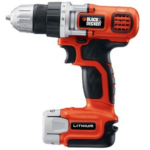 Black and Decker 20V Lithium DRILL Giveaway!!!!! Winner of the $250 Bedding Style Giveaway!!! WINNER of the Oreck Magnesium Vacuum!!! 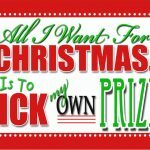 All I want for Christmas….. is to pick my own prize! GIVEAWAY!!!! !